Did you happen to notice that beautiful hair clip Twinkle Toes was wearing when I shared the pictures of her new glasses? It was a Lilla Rose sample that Christine sent us to try. 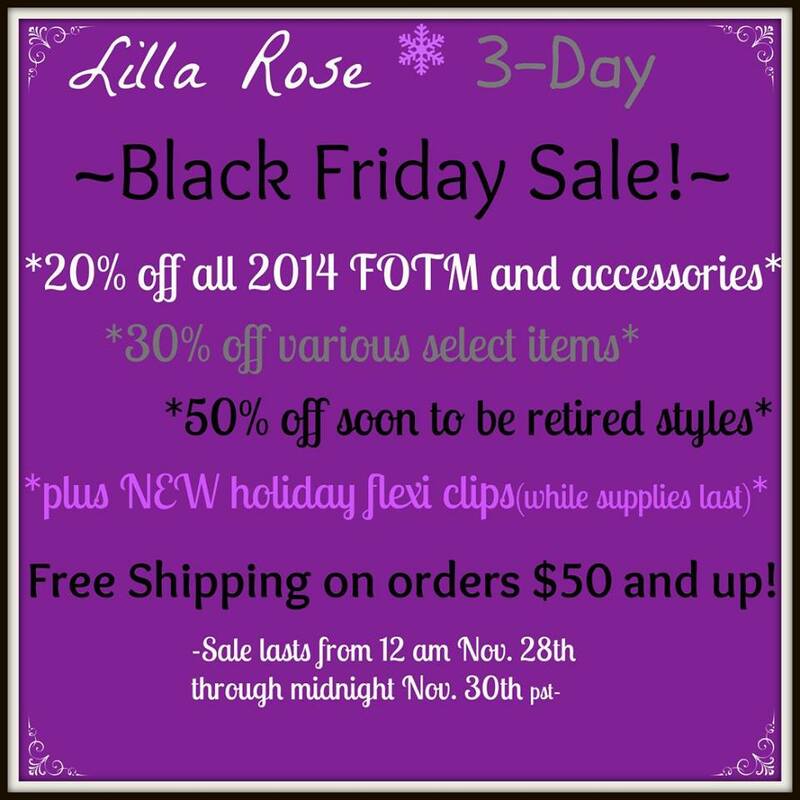 I have seen Lilla Rose blogged about in the past and many of my online friends have hosted parties, but I had never placed an order and this was our first time seeing the Lilla Rose clips in person. I love them! Not only are the clips beautiful, they actually stay in place! I'd like to order a few more flexi clips to slip into the girls' Christmas stockings and this weekend is the perfect time to place an order! 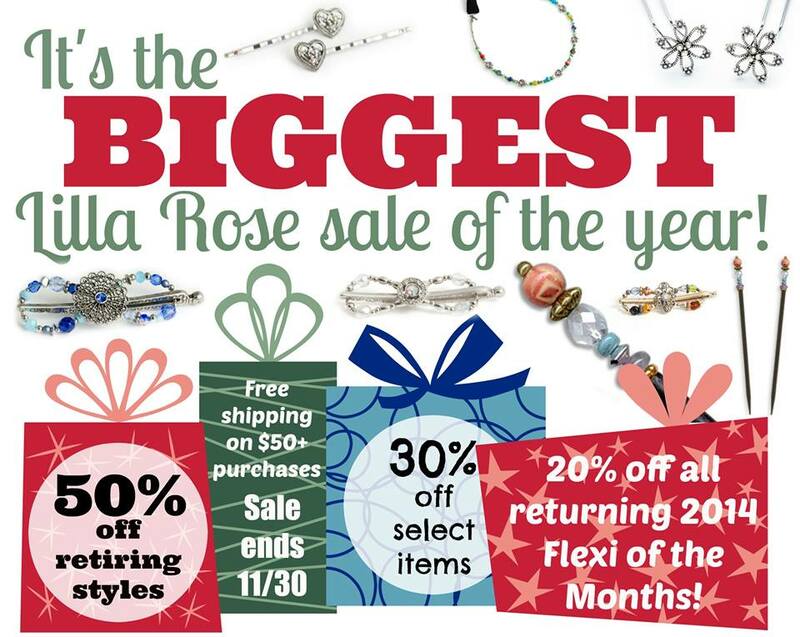 In addition to all the great Black Friady sales, if you are a new Lilla Rose customer, when you buy 3 or more, you are eligible to get 1 free. * Please do not add the free item to your cart. After you place your order, simply email Christine at prettynwrose at gmail dot com and let her know what you would like for your free item (up to $16 value). This offer is only good through the review link. *The “buy 3 or more, get 1 free” offer is only available to customers in the USA and/or those with a U.S. military address (APO). 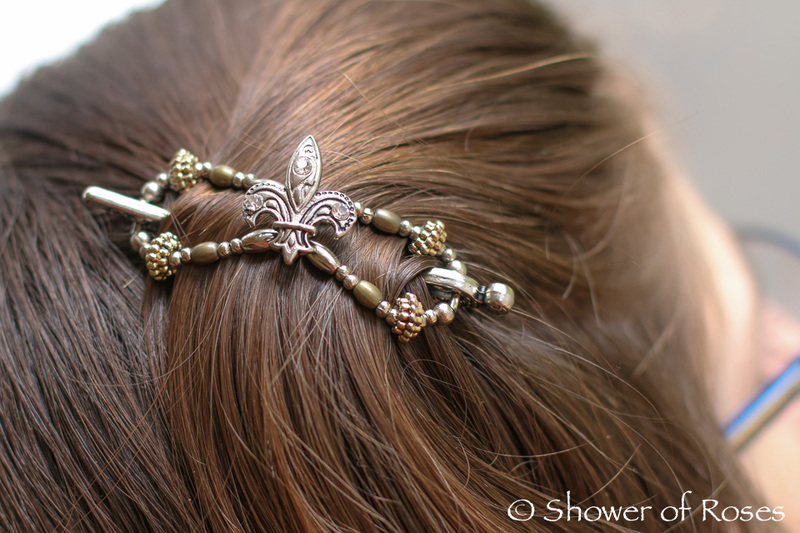 Christine has offered to send one of my visitors here at Shower of Roses a Lilla Rose Hair Accessory of their choice with a value up to $16.00. The giveaway is only open to U.S. residents over the age of 18.